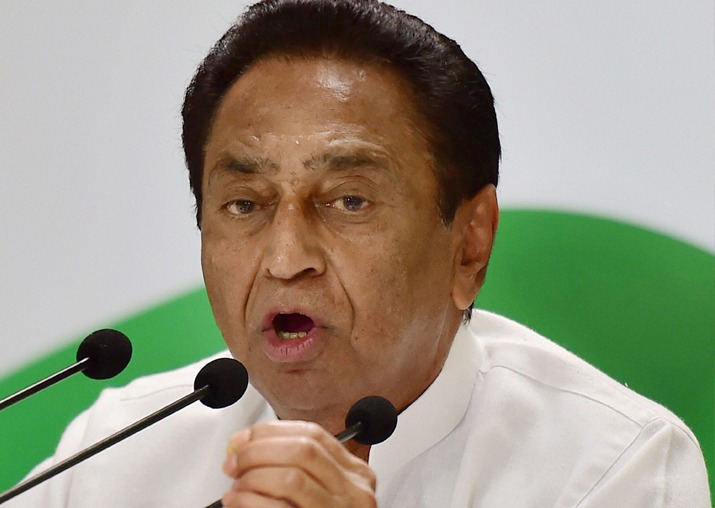 Indore, Nov 3: Taking a swipe at the CBI for its "clean chit" to Madhya Pradesh Chief Minister Shivraj Singh Chouhan in the Vyapam scam, senior Congress leader Kamal Nath today said the investigation agency has turned into a "Shakha of the RSS". "Has any court given him (Chouhan) a clean chit? The CBI, which gave him a clean chit, has reduced itself to a department (shakha) of the RSS," Kamal Nath told reporters here. The CBI, in the charge sheet filed in a special court on October 31, said the forensic analysis of the hard disk drive, recovered from Madhya Pradesh Professional Examination Board (also known by its Hindi acronym Vyapam) officer Nitin Mohindra, showed that the discs carrying reference to the letters 'CM' had been tampered with.